The Estate Zinfandel comes from my own six acre, 54 year old head-pruned and dry-farmed vineyard in the heart of Dry Creek Valley. To intensify and concentrate the flavors I drop fruit production in the vineyard to about 2 tons per acre. A field blend of 7% Petite Sirah, 3% Carignane, and 90% Zinfandel. In the nose, ripe dried red cherries and red currants abound with cedar, and underlying nuances of white pepper. 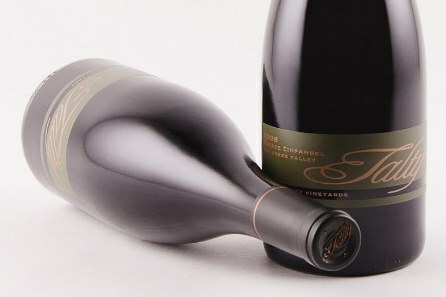 Juicy red raspberries, dried mouthwatering cherries, red currants with a hint of cranberry on the palate. Perfectly balanced, nicely textured with medium complexity in an old world claret style finishing long and lasting.